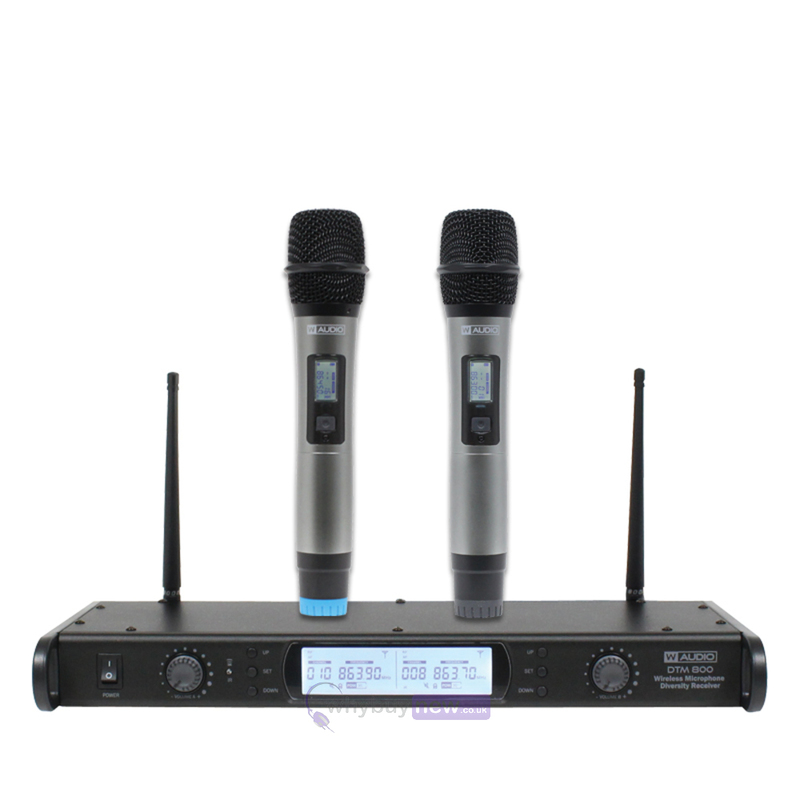 The W Audio DTM 800H is a dual wireless microphone system that is ideal for karaoke use along with anyone doing a presentation where one microphone won’t be enough. 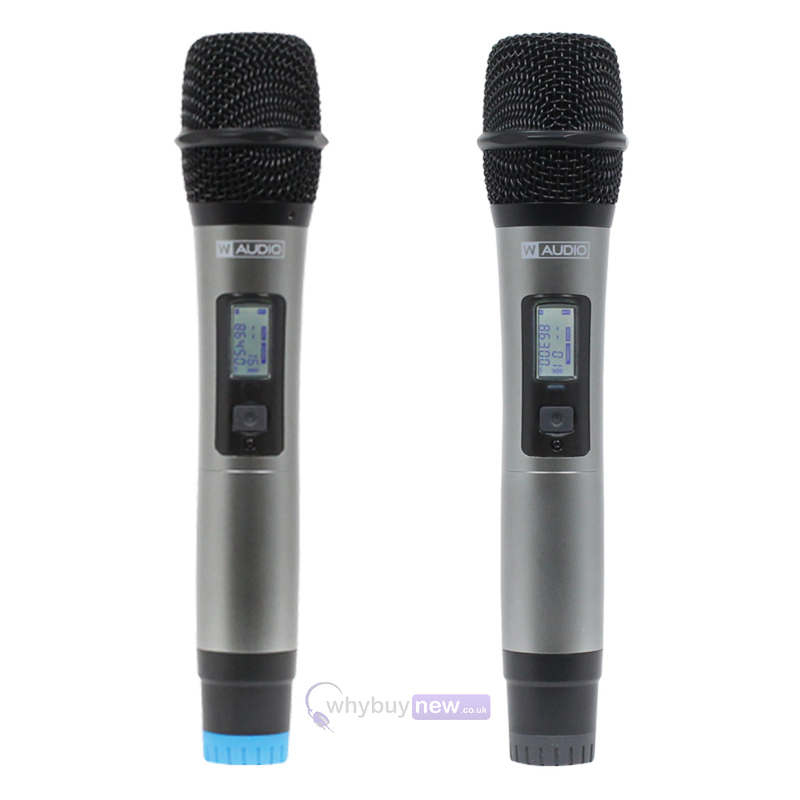 The microphone bodies are made from metal and really feel like the professional microphones they are, not only in the way that they feel, but also in the sound performance that they deliver. 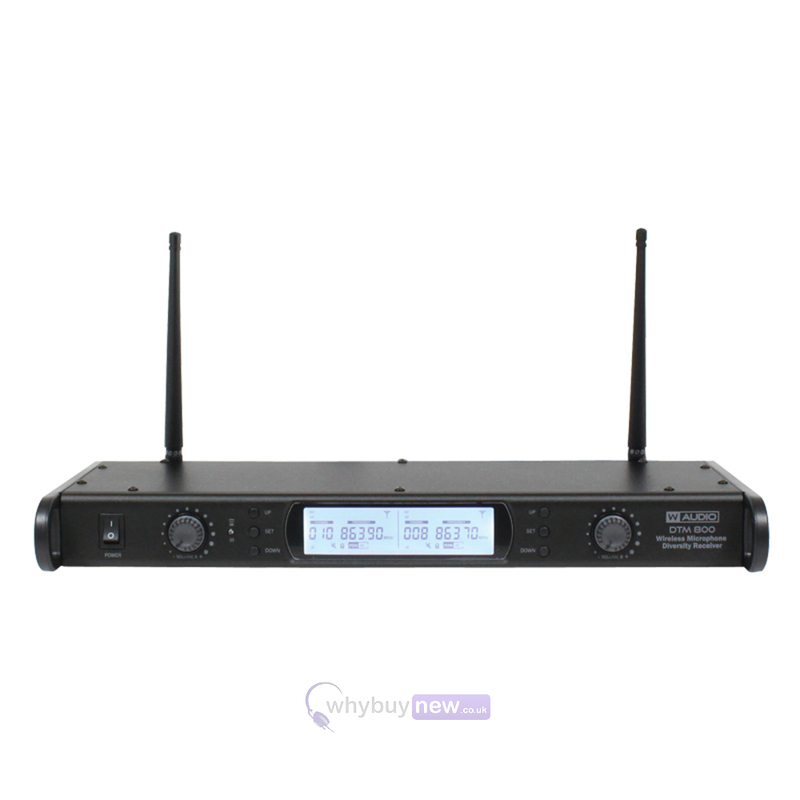 The W Audio DTM 800H Twin Handheld has an adaptor bracket, so have this product mounted on the wall or just on the side. Also by purchasing the additional DTM 600BP Flexibility improves. 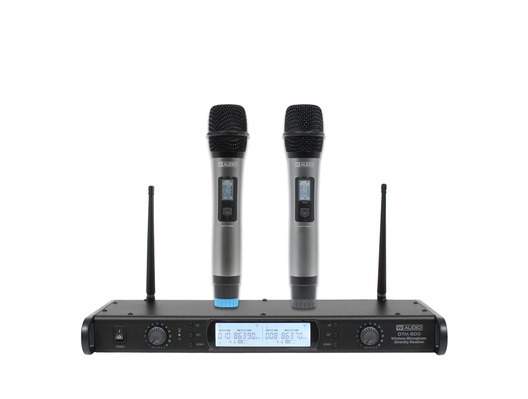 DTM series wireless microphones feature twin UHF belt pack or handheld systems with 300 selectable frequencies. 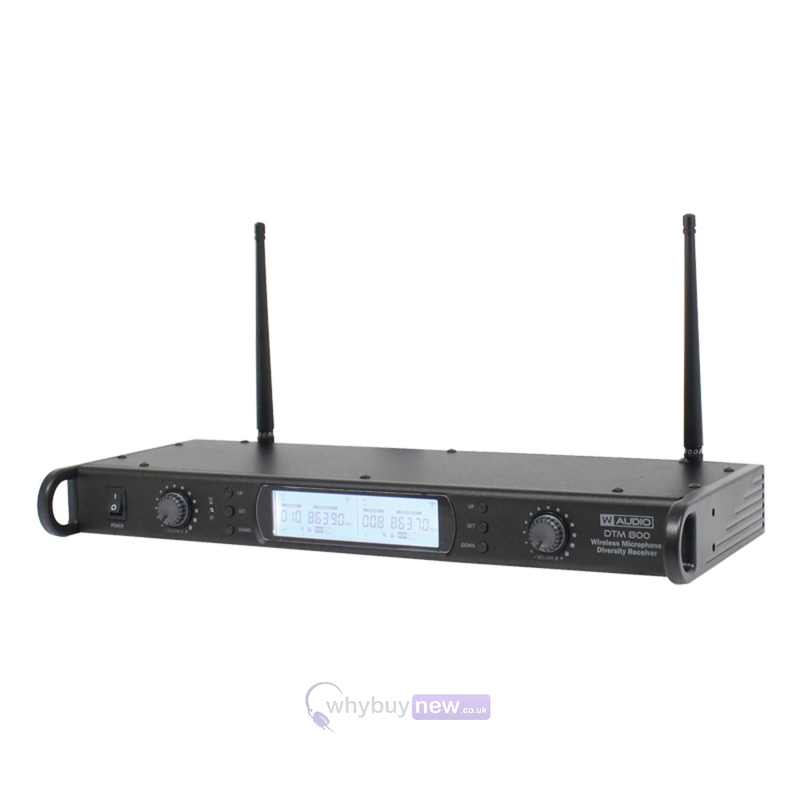 Available in either Channel 38 (606-614Mhz) for the DTM600 or Channel 70 (863-865Mhz) for the DTM800; both systems utilise a true diversity, full width receiver for the ultimate in RF stability. 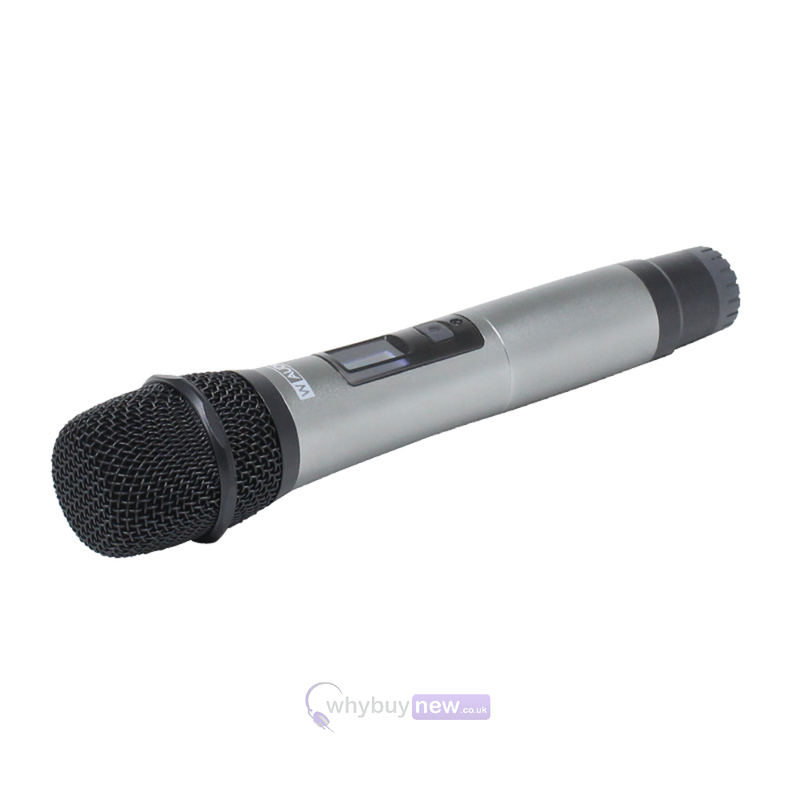 Outstanding vocal reproduction and stable wireless connectivity allow freedom of movement on stage. 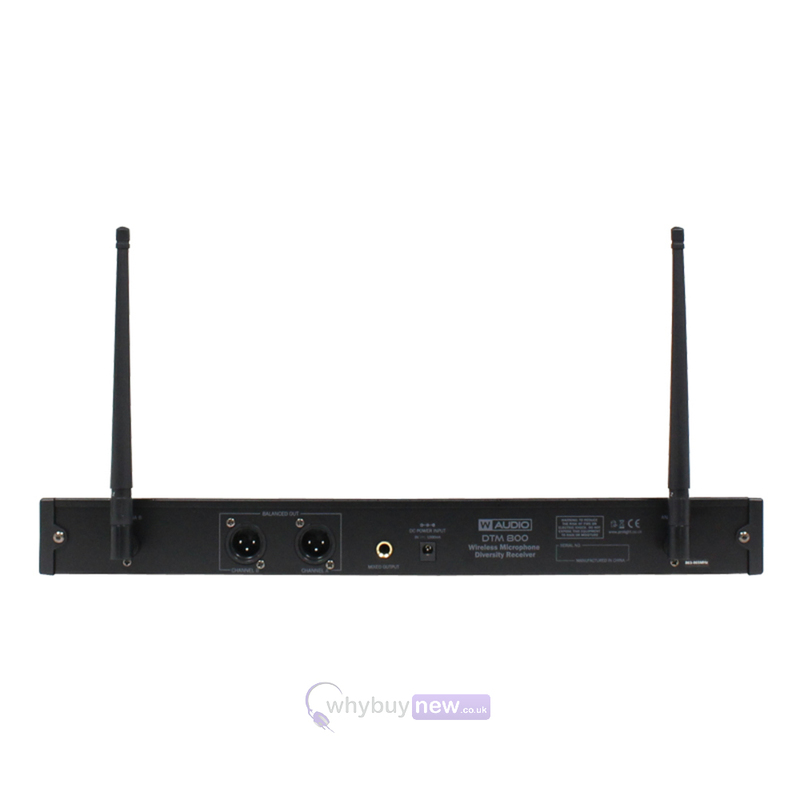 These systems offer crystal clear sound reproduction and rock solid reliability. 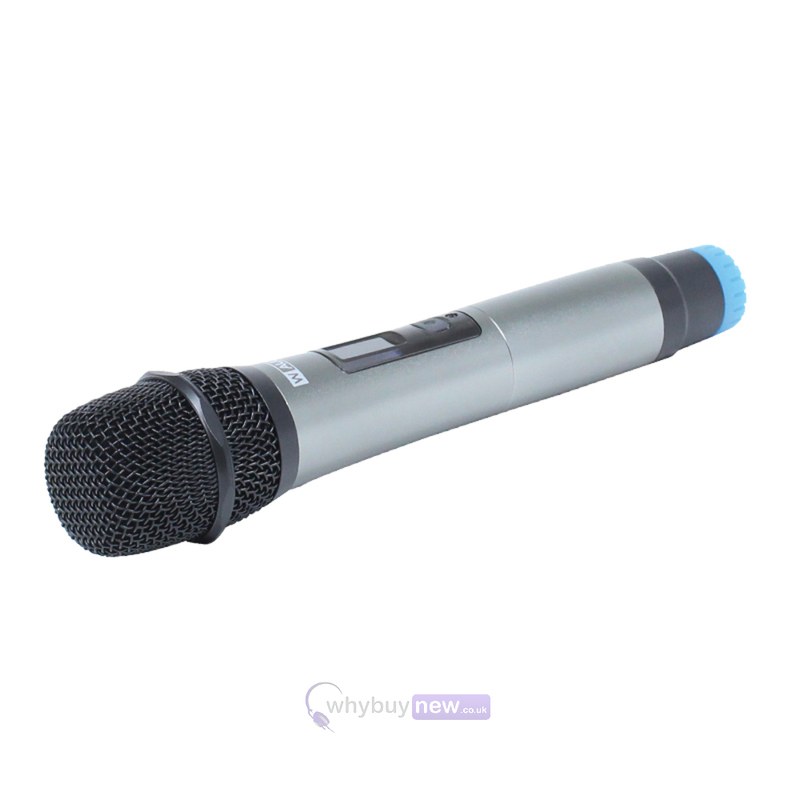 Metal bodied transmitters feature ergonomic design with a rugged housing to stand up to the rigours of the road. The flexibility of the handheld systems may be increased by purchasing the additional DTM 600BP.